Pixabay Heart-rate training is the best way to determine whether or not you're getting the most out of your workouts. With wearable fitness trackers becoming the norm among recreational athletes, more of us know at any instant what our heart rate is during workouts. What we might not know is what that data means. That's a shame, because basing your workout intensity on your heart rate can be a great way to meet your exercise goals. “Heart-rate training gives you objective guidance on whether you're on the right track, pushing too hard or taking it too easy,” says Janet Hamilton, an Atlanta-area running coach. Here's what you need to know about training by heart rate. What is heart-rate training? Heart-rate training entails keeping your heart rate – the number of times your heart beats in a minute – within a set range during a workout. The range is expressed as a percentage of your maximum heart rate, which is the greatest number of times your heart can beat in a minute. For example, for a 30-minute elliptical workout, you might aim to keep your heart rate between 70 and 80 percent of your maximum heart rate. Heart-rate training reflects the fact that the harder you run, cycle, Nordic ski or do other forms of exercise, the higher your heart rate is. The ideal heart-rate range depends on the cardiovascular goals of a workout. This form of training is useful for aerobic exercise such as cycling and running, in which you sustain your effort for 20 or more minutes. Similarly, because of the stop-and-start nature of strength training, monitoring heart rate isn't an effective way to track workouts in which your main goal is to build muscle rather than improve cardiovascular fitness. Why train by heart rate. “Heart-rate training is a way to combine subjective and objective measures of training,” says Debra Atkinson, a certified strength and conditioning coach in Boulder, Colorado. Here's the gist: Your effort level – how close to your max you're working – is what really determines gains you get from a workout, such as your heart being able to pump more blood with each beat and your muscles becoming more efficient at using the oxygen in that blood. There's a range of heart rates that correspond to the key effort levels you hit in cardio workouts. Match effort level and heart rate, and you know you're working at the right intensity for that type of workout. How to train by heart rate. The first step in heart-rate training is gauging your maximal heart rate. The commonly recommended formula of 220 minus your age is based on averages of large numbers of people, but it's not particularly useful on an individual basis. For any one person, 220 minus age might be inaccurate by 10 to 12 beats per minute in either direction of the formulaic answer, Hamilton says. If you're one of the people for whom the formula is inaccurate, that could mean you're usually working out too hard or too easy. If you're a runner, Hamilton recommends doing a 5K race while wearing a heart-rate monitor. “If you finish thinking you gave it your everything, the highest reading you reached will be close to your max,” she says. Atkinson has clients do a test on a treadmill or exercise bike while wearing a monitor. They progressively increase their intensity until their breathing and perceived exertion tells them they can't continue. The heart rate at that point is close to their max. “The more motivated you are to do this, the more accurate your max heart rate will be,” Atkinson says. Once you know your max heart rate, use the ranges in a heart-rate chart to set-rate targets for different types of cardio workouts. Try to at least meet the government's guidelines for weekly physical activity: 150 minutes of moderate aerobic exercise or 75 minutes of vigorous exercise. “After a few weeks of training with a heart-rate monitor, you should be able to 'feel' the correct level of exertion,” Atkinson says. Learning how your effort level and breathing relate to your basic heart-rate ranges frees you from constantly staring at the monitor. Hamilton advises checking in every few minutes once you have that sense. “Use the monitor, but don't be married to it,” she says. Cautions and caveats. Here are a few things to keep in mind when training by heart rate. • If you don't have a heart-rate monitor: It's possible, albeit cumbersome, to train by heart rate without one. Find a place where your pulse can be strongly felt, such as on your neck. Count your pulse for 10 seconds, then multiply that number by six to get your current heart rate. 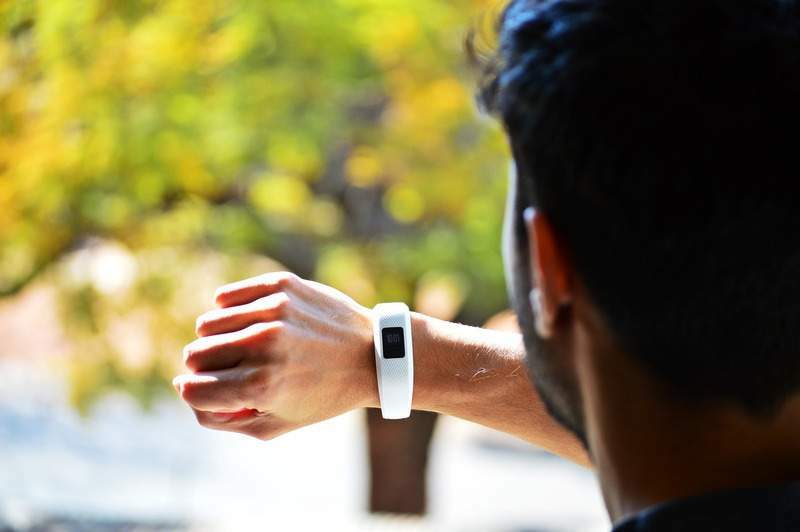 On-the-go measurements are possible in some activities, such as stationary cycling, but if you're running, you might need to briefly interrupt your workout. Most modern gym equipment includes a grip or other way to get a snapshot of your heart rate. • Allow for heart-rate drift: Except during low-intensity and easy workouts, your heart rate will gradually increase over the course of a workout. That phenomenon, known as heart-rate drift or cardiac drift, occurs sooner and to a greater degree in hot, humid weather. (When it's hot, your heart pumps more blood to your skin in an effort to keep you cool, resulting in a higher heart rate at the same pace.) To account for heart-rate drift, start exercising at the lower end of the range for a given workout. On hot days, keep your heart rate in the right range and adjust your pace, incline or resistance as needed, Atkinson advises. • For water workouts: If you're tracking your heart rate while swimming or doing water aerobics, adjust your intensity ranges down by 10 to 12 beats. For example, if your target heart rate for a moderate-intensity workout is usually 140 to 150 beats per minute, aim for 130 to 140 in the water. That adjustment is necessary because water pressure on the body increases how much blood returns to and is pumped from the heart.